There's one issue about your Android Smartphone which almost 99% people have faced and I can bet for it. According to a rough idea it is considered that if some one is using Smartphone that he/she have surely faced accidental crash of their Android data(contacts, photos, sms, photos, audio, video, documents). I don't say that everyone has faced this issue but major part of the population have claimed about this inconvenience at least once in their life. Now you're are already very smart if such a major amount is facing this issue then there must be solution for it. The answer is a big yes, you can found hundred of solution over the Internet to secure your data. All those solution will point to a single method that is android backup. You can come across different search terms such as secure your android data, save your data online but all of them will end to a perfect solution that is back up your data to an external device or into your system. Be calm!, our discussion doesn't end here. Now we know that if we wanna save our data from any damage then just backup it but how? My friend, it's a child play to Google but one of the most difficult task to find a perfect tool. 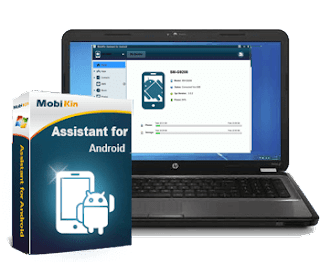 But don't worry today we're going to review a tool called MobiKin Assistant For Android. It'a a complete tool packed with awesome features to back up messages from android to computer. Not only messages you can manage several others task. Keep reading I have explained everything from start to end about this software. Why Should I Go For MobiKin Android Assistant? After reading the introduction there might be several question in your mind such as why should I go for this tool, Is there anything amazing about this tool? Don't worry, it's natural. We don't purchase anything once we're not sured about the quality of the product. To provide your better review of this product I personally installed it on my computer and tested it. The results were amazing. Everything was processing with one click. I have mentioned all the features below so that you can have a complete idea about it. There's nothing much I should explain about this point. You've already installed thousands of software on your system earlier. Similar to those, it's a one click install tool. In order to access all the features of Android assistant, you'll need to connect your Smartphone with it. Don't to worry it's also one click task. Developer have provided two options in the interface to connect your phone with it. You can connect your phone either via USB or Wifi. Here I am going to show you how to connect with USB cable. You can easily connect with Wifi too. Simply plug USB port in your Smartphone and connect it with your laptop or computer. Make sure device enables USB debugging. 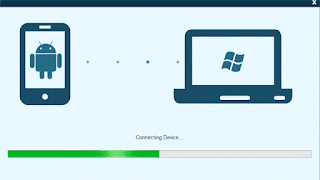 You can enable it easily simply navigate to Settings>>Applications>>Development>>USB Debugging. Wait for some time while it loads your drivers and all the necessary connections. 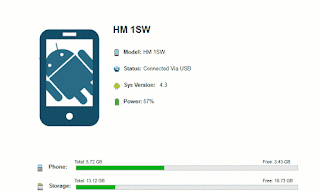 Once everything is done, you can see your device stats such as model, system version, battery percentage, phone and SD card storage. This awesome tool comes with various features. You can easily manage all your data and can even import them to your computer or laptop. Some of the basic features have been listed below. Remember with free version you're only allowed to view android data, to manage get the full version and enter registration code. 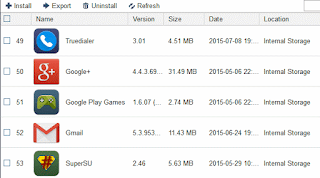 Manage Apps: - This android manager allows you to install, export and uninstall apps. Navigate to the left side menu and click on apps>>user apps. Here you can see a complete list of all the installed apps on your phone. Manage Contacts: Some time we forget our lock pattern or due to random reason we need to format our device to make it work again. If you're in a habit of saving your contacts in your phone memory then you might lost them on formatting your phone. But with this tool you can save them on your laptop also add them and delete them in bulk. Along with this you can manage your text message, music, photos, videos and books too. I think the above two points were enough to make you understand how this software works. Simply save all your data as a backup on your computer without any inconvenience. One more great feature provide by this product is that you can even add multiple devices. Simply click on the button left side of My Device. You can easily download it's trial version from their official website but in order to use their features such as importing, exporting, deletion simply grab a license key. Currently they are offering $10 discount. You can get a lifetime license key for $39.95 instead of $49.95. Once you've made a payment they will automatically send your key code within minutes. They come with free technical support, lifetime update and 90 days money back guarantee. So this was all about android assistant. Give it a try and mention your reviews below in the comment section. For any doubt or query feel free to leave a comment below in the comment section.